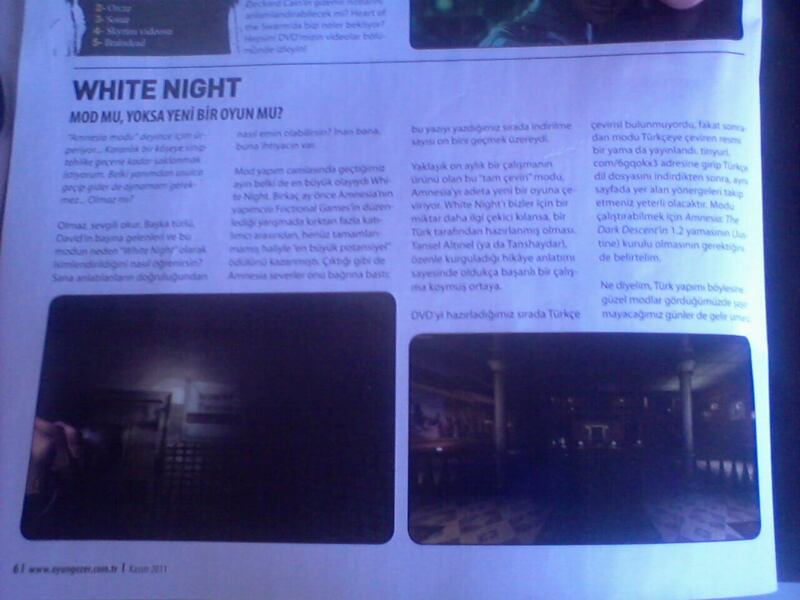 OyunGezer (we can roughly translate it as Game Wanderer) magazine reserved a half page article about White Night. Actually that wasn’t something I was expecting, especially considering White Night has not been widely known in Turkey. I got some congratulating messages from Turkish people who came across White Night on the internet, usually with Let’s Play videos. Considering there are more than hundred of let’s play of White Night on YouTube, that’s not surprising. However, OyunGezer magazine came across White Night same way, and they got surprised that it was made by a Turkish person. They also included installation package of White Night in their DVD promo. Another thing is, Mod of the Year competition is still going on, and if you feel like, I’d appreciate your support on the matter. I have two postmortem posts being written at the moment and they will be posted soon. I started to work at ETGi Group as a part time system specialist one and a half month ago, and since then, I can’t find much free time to work on my personal works, so, sorry for the delay.